It seems that this fairy tale will be similar to the Flying Fakir, in the sense that the majority of it will take place outside, rather than inside the building. It is believed that the figures, such as the Emperor and his footmen, will ‘walk’ along in front of the palace; and possibly the tailor of the Emperor’s clothes will be visible in silhouette in a smaller building, off to one side. They appear to be completely made from some sort of resin or plastic, which is perfect for the weather that Efteling sometimes experiences! 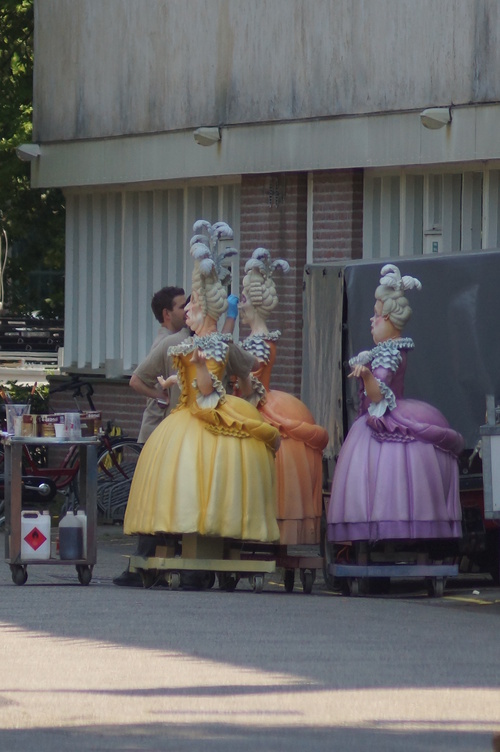 However, some Efteling fans have noted that this ‘look’ is rather different from the other stories in the forest, and that these figures look a bit too plastic! While we understand these concerns, we have faith that Efteling are creating something wonderful. 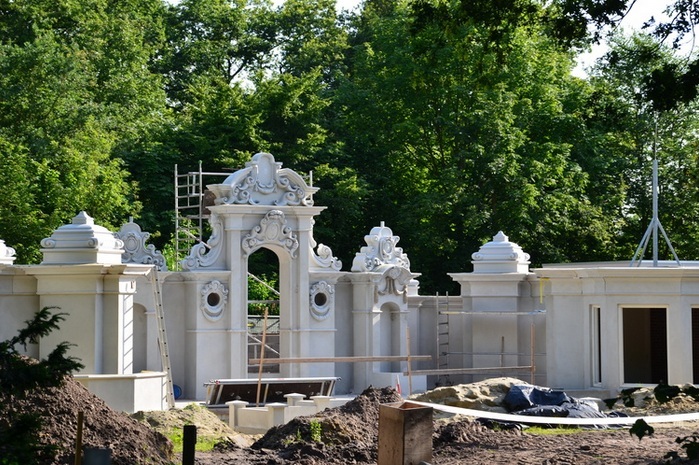 If you are visiting Efteling soon, look for the construction between Cinderella and the Little Match Girl. For more photos and info on this new attraction, head over to Eftelist. …so now it is perfectly acceptable to post videos about Winter Efteling! I found a great one of the Fairy Tale Forest and I thought I would share it with you all. Everything is covered in snow and icicles and is very very festive! Plenty more updates to come, so keep checking back, or, even better, subscribe on the left of this page. We promise not to spam you! Join us on Facebook and share us with your twitter friends! For us folks in English-speaking parts of the world, Sprookjesboom refers to the Fairy Tale Tree in the Fairy Tale Forest at Efteling who tells stories. He was added to the forest in 2010 and is very popular! In February 2012, Sprookjesboom the film will be released in Dutch and Belgian cinemas to the delight of many Sprookjesboom fans. The Sprookjesboom TV series has been running since October 2006 and is still going strong, being broadcasted in the Netherlands, Belgium and Germany. It has also been mentioned that English episodes are in production! Although I am…older…than most of the fans of the show, I do own one of the DVDs and I have to say that the animation is wonderful. 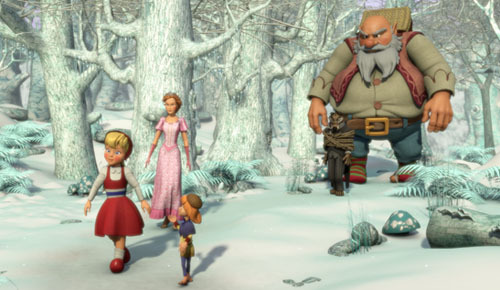 What is also very interesting is the way that each of the characters from the Fairy Tale Forest have been turned into caricatures of themselves, and it works well! I hope to see the movie when it becomes available, and particularly look forward to English episodes of Sprookjesboom!